A £50 million plan to build student accomodation on the site of Birmingham’s former Central Fire Station has been recommended for approval. A £50 million plan to build student accommodation on the site of Birmingham’s former Central Fire Station has been recommended for approval. The development includes partial demolition and alterations to the Grade II listed building and the erection of a 23 storey tower. The design for the scheme, which is due to go before the planning committee for a final decision on May 17, has been dubbed a “tombstone” by critics. 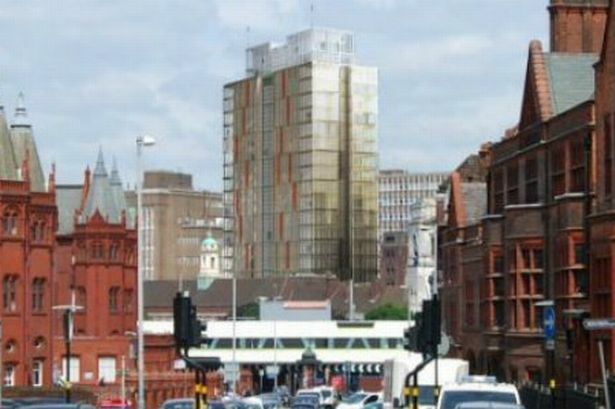 Birmingham’s K4 Architects has drawn up the design on behalf of North Wales based developer Watkins Jones, who aim to complete the work by 2013. Watkins Jones pulled the plug on a similar project in Portsmouth for financial reasons after being dogged by delays. Aston University vice-chancellor Professor Julia King is opposed to the plans for the fire station. Professor King said: “With the original tombstone-like design concept twice rejected by the planning committee I am surprised to see it brought back again. “I trust it will be third time unlucky for the tombstone and Birmingham will follow the example set by Portsmouth. “There is no support for an inappropriate building which will dominate the skyline, wreck a historic and much loved fire station setting and be regretted by all who care about the character of Birmingham. “The revised proposal from Watkin Jones is very similar to the two previous proposals rejected by the Birmingham Planning Committee. Jason Berry, director of development at Watkin Jones, said: “Our proposals for the fire station have always been focused on bringing back to life a vital part of the city’s heritage in a sustainable way. “The plans open up more public access to the building than has ever been seen in its entire history, as it becomes home to a vibrant new community of students.